We think of the Earth as this big vibrant, living thing but there are huge swaths of land that are virtually unlivable and yet, they are still incredible places to behold. Without taking into account either poles, which are in fact the largest deserts on the planet by a decent amount, you mind find taking a trip to at least the periphery of these vast dead zones to be a stark contrast to your every day life. For some people, this is their life. Overlapping the nations of China and Mongolia, the Gobi Desert is a cold barren wasteland that doesn’t support much life. It is most famous for being a part of the Mongol Empire, which at one point was the largest empire in the world beginning under Genghis Khan. Were it not for the great shadow cast by the Himalayas that effectively blocks a lot of the rains, perhaps the Gobi would be a different place. While not an entire desert to say, the continent of Australia is not a very hospitable place, which is why most people live on a narrow band along the coastline. 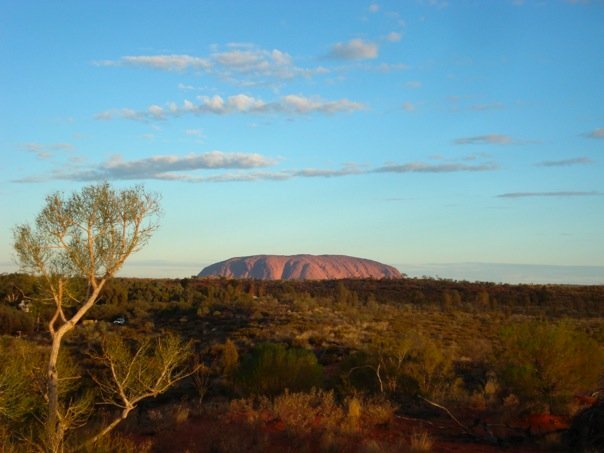 The location of the iconic Uluru, or Ayers Rock, is actually more supportive of life than you might think but make no mistake, it is not a vibrant oasis. Camels were brought over from Arabia years ago to help the crossing of north to south, and now they thrive in the environment – boasting the largest feral camel population on Earth. The place of stories and fantasies, the Arabian Desert is the second largest non-polar desert on the planet. While most famous for the huge deposits of oil and natural gas that have made the countries it encompasses quite wealthy, the Arabian desert is mostly contained in Saudi Arabia. Despite being quite inhospitable to human life with its red dunes and quicksand, it is home to several more adaptable species of gazelles, sand cats and spiny tailed lizards. 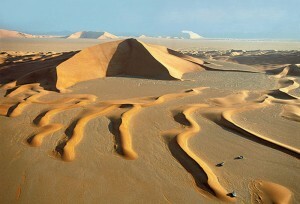 The largest non-polar desert on Earth is located in northern Africa – how large you ask? Let’s just say almost 4 Arabian Deserts could fit inside or 22 of the top 25 largest deserts… and it’s expanding. The very name ‘Sahara’ comes from the Arabic word for desert and it lives up to its name, being everything you would expect – a hot, dry wasteland. Yet, there is beauty in the Sahara, as there is in every desert so long as you’re not trapped there. With it’s majestic sand dunes it is an endless sea of brown and yellow that silences all who witness it.